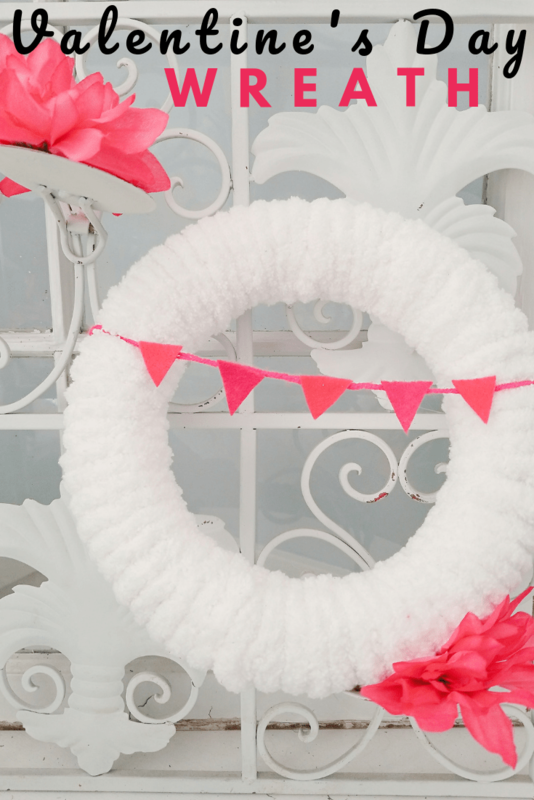 Decorate your door with this adorable Valentine’s Day wreath craft. You don’t have to be super crafty or devote a lot of time or money, this frugal and fun craft is perfect for anyone ready to get into the Valentine’s Day spirit! Add a generous amount of hot glue to the end of your yarn. Press it to the inside of the wreath form. Allow to dry. Begin wrapping the yarn around the form, wrapping tightly as you go. When the wreath is covered, trim off any extra yarn and secure the end with more hot glue. Cut out assorted hearts or triangles from the craft felt. 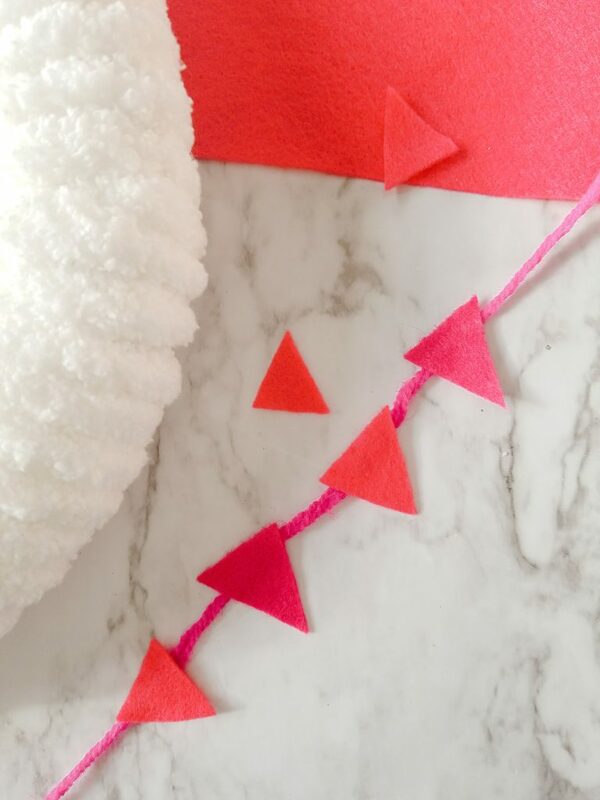 Create a small bunting banner using the felt cut outs and some additional yarn. Arrange the banner on the corner of the wreath. Secure them in place with glue. Secure the additional end so it hangs across the entire front of the wreath. 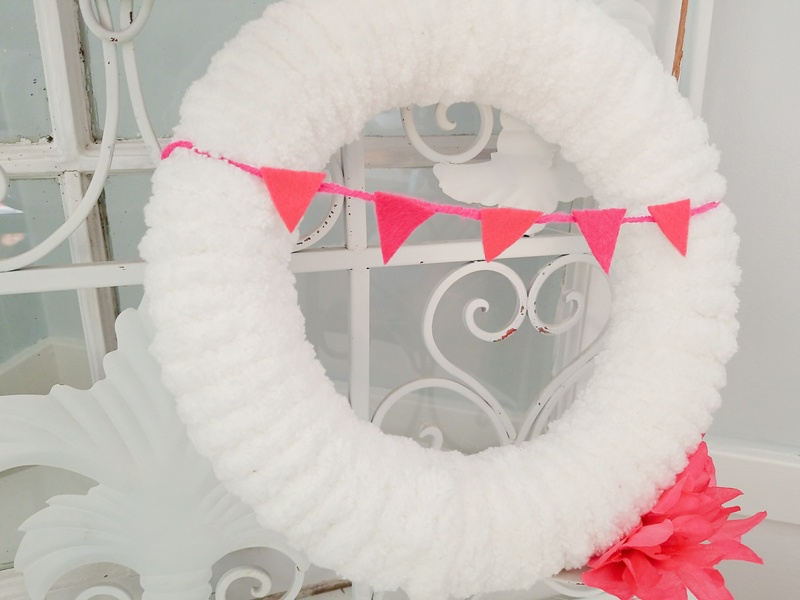 Add ribbon for hanging or display this Valentine’s Day wreath as is.